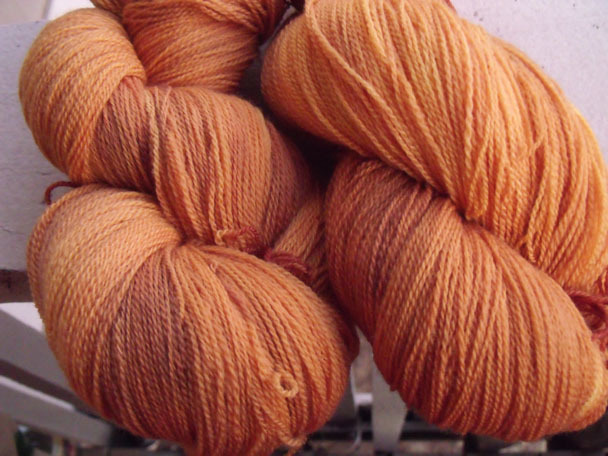 I am in love with my new Lace colorway, Curry. I know it is basically winter, and I am supposed to be moving on to a more wintery palette full of heathery jewel tones, but I can’t seem to get myself off orange. Whenever I look at this yarn, I think of long, delicate lace evening gloves or an elegant, spider web wisp of a shawl. That is saying something, because all I want to knit right now are sweaters. How is your holiday crafting coming along? *I am running a little special in my shop from now until Christmas just to help out with the overwhelming nature of the holidays. Free shipping on all domestic (US only) purchases from now through Christmas. What a great time to get one of those sweater lots!